October 6th, on this day in 1847, Jane Eyre is published by Smith, Elder and Co. Charlotte Bronte, the book's author, used the pseudonym Currer Bell. The book, about the struggles of an orphan girl who grows up to become a governess, was an immediate popular success. Bronte was born in 1816, one of six siblings who grew up in a gloomy parsonage in the remote English village of Hawthorne. Her mother died when she was 5, and Charlotte, her two older sisters, and her younger sister Emily, were sent to Clergy Daughter's School at Cowan Bridge in Lancashire. The cheap school featured bad food, cold rooms, and harsh discipline, all reflected in the image of the boarding school portrayed in Jane Eyre. Charlotte's two oldest sisters died of illnesses while at school. After their sisters' deaths, Charlotte and Emily were brought home, where they and their remaining siblings, Anne and Branwell, amused themselves by making up elaborate stories about fantastical worlds. From 1835 to 1838, Charlotte taught in a girls' school. Meanwhile, she and Emily formed a plan to open their own school, and in 1842 the sisters went to Brussels to study languages and school administration. In Brussels, Charlotte fell in love with the married headmaster, an experience she used as the basis for her last novel, Villette (1853). Returning to the parsonage at Hawthorne, the sisters tried to open their own school but could not attract pupils. Meanwhile, their adored brother Branwell had become a heavy drinker and opium user. When Emily got him a job teaching with her at a wealthy manor, he lost both their positions after a tryst with the mother of the house. In 1846, Charlotte accidentally found some poems written by Emily and discovered that all three sisters had secretly been writing verse. They published their own book, Poems by Currer, Ellis and Acton Bell, adopting a pseudonym because they believed women writers were judged too softly. Only two copies sold, but publishers became interested in the sisters' work. 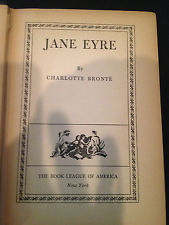 Charlotte's Jane Eyre was published in 1847 under the name Currer Bell. Emily's Wuthering Heights and Anne's Agnes Grey were published later that year. Sadly, all three of Charlotte's siblings died within the next two years. Left alone, Charlotte cared for her ill father and married curate Arthur Bell Nicholls in 1854. Charlotte died during pregnancy shortly after the marriage.